Health and wellness tips are abundant these days, with many nutrition gurus talking about the benefits about a hot, new herb. But, what if you could improve your health just by eating less acidic foods? Eating an alkaline-based diet can be beneficial for your health. With so many diets out there, it sometimes overwhelms people, and it’s hard to know where to start. The alkaline diet is excellent because there is no dogma or harsh rules to follow. It simply implements foods that help to balance your body’s pH level. Vegetable, fruits, and plant-based proteins are all high-alkaline foods. It’s an important diet to consider, because it’s less about weight-loss and more about preventing illness. The pH in your body is regulated by the minerals you consume, and it’s important to note that a body with a balanced pH may have a higher functioning immune system. Replacing acidic foods can support healthy hormone levels, immune health, and urinary tract health. Our bodies live within a very tight range of what a healthy or normal pH should function as. A lower pH level is considered more acidic, and a higher level is considered more alkaline. A pH of 7 is neutral, and a slightly alkaline pH is between 7.35 to 7.45. Even the smallest fluctuations in pH can have a negative impact on your body. If you swing too alkaline, you may find yourself confused and nauseous, while too acidic may cause headaches, fatigue, and shallow breathing. Luckily, our kidneys are the professionals and closely regulate our body’s pH by maintaining proper electrolyte levels in conjunction with other functions. How are acidity and alkalinity determined? The list of alkaline and acidic foods are based on what’s considered ash residue — the pH of your food. This residue is comprised of the nutrients and calories taken from foods and how they’re metabolized. The ash residue is divided into acid-forming foods or alkalizing foods. 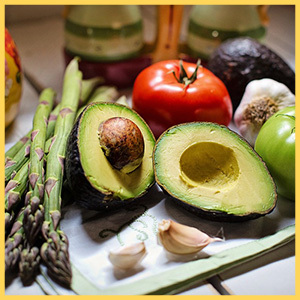 Overall, plant-based foods are considered alkalinizing, while acidic foods include animal proteins, grains, and alcohol. 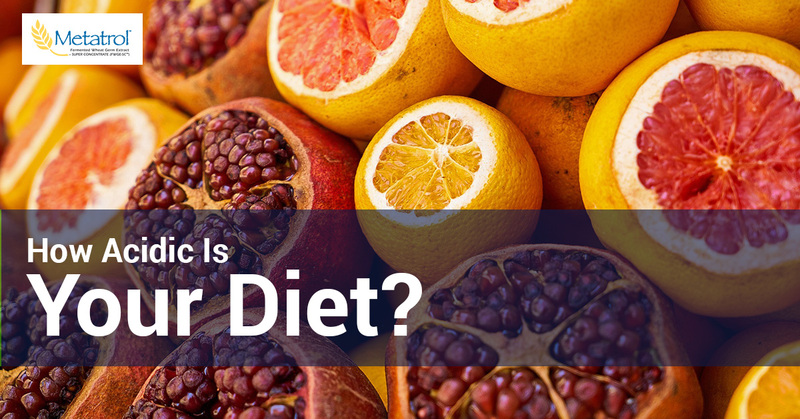 Why are acidic foods such an issue? Acidic foods — when heavily consumed — can have a negative impact on the body. Decreased bone density – This is important for everyone, but especially for women. Women start to lose bone density after age 30, and it steadily declines as they age. Bone density results from acid-forming foods by increasing the amount of calcium excreted through urine. Keep in mind that milk is considered acidic, so if you’re consuming it strictly for calcium and bone support, you may be doing just the opposite. Try other calcium-rich foods, including dark leafy vegetables, broccoli, and almonds. Acid reflux issues – If you struggle with acid reflux, acidic foods tend to worsen the symptoms. When you consume acidic foods, it relaxes the esophageal sphincter, and stomach acid may splash up as a result. Caffeine and alcohol are all acidic beverages that trigger reflux. Incorporating alkaline foods can support healthy acid levels and reduce symptoms. Try vegetables and non-citrus fruits for lowered acidity. Increased inflammation – Acidic foods tend to increase inflammation, which can trigger many negative metabolic issues. With numerous health issues, not all acidic foods are considered bad. Most animal proteins are considered acidic, but there are a plethora of nutrients to be gained from them, so eat them in moderation. Balance out acidic foods with alkaline foods — eat chicken with a side of roasted vegetables or a dark leafy green salad (no iceberg lettuce!). While giving up coffee may be a tragedy for (most) people, there are some other swaps that might not be as painful. 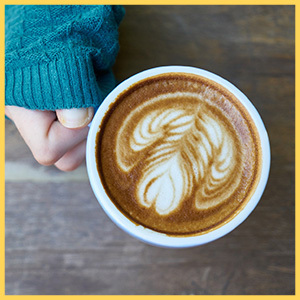 Choose one caffeinated beverage — either coffee, tea, or soda. Always drink alkalizing water along with it. Always include vegetables at every meal, even breakfast (disguise them in a smoothie). Limit your intake of highly-processed foods. What are the suggestions when eating acidic foods? You are the best assessor of the amount of acidic foods you’re consuming, but if you are sensitive to acidic foods and have known acid reflux or urinary tract issues, you may want to carefully choose the acidic foods you do eat. See how acidic foods make you feel, and adjust accordingly. Again, eat acidic foods in moderation whether you have a health issue or not. When it comes to acidic foods, some are worse than others — processed foods and beverages — so those you can completely eliminate if you choose. Animal-proteins are beneficial for the nutrients, so balance them with alkaline foods.